When Richard Webb bought the 3-acre Major Infiniti dealership off State Line Road in Kansas City 3 years ago, he knew he had a challenge: it was time to bring the business up-to-date. By using a loan from Heartland Business Capital, who partnered with a local bank, Webb was able to move to a bigger 5-acre location with better visibility near the luxury dealerships off I-35. 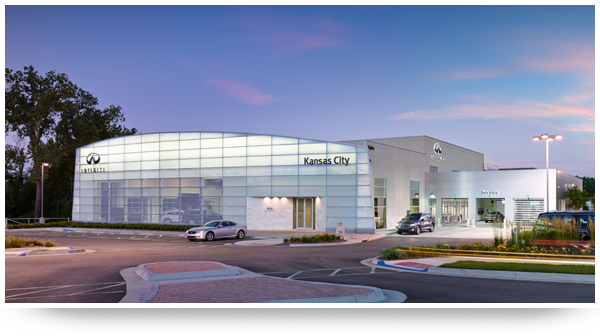 The new Infiniti of Kansas City now has nearly 50,000 sq. ft. of space showing off 12-14 vehicles, 19 service bays, and 16 sales offices. Webb was also able to triple the size of the parts department, allowing for better, faster service to his customers. Looking for an Infiniti? Visit www.infinitiofkc.com.